Your new best friend is here to stay. 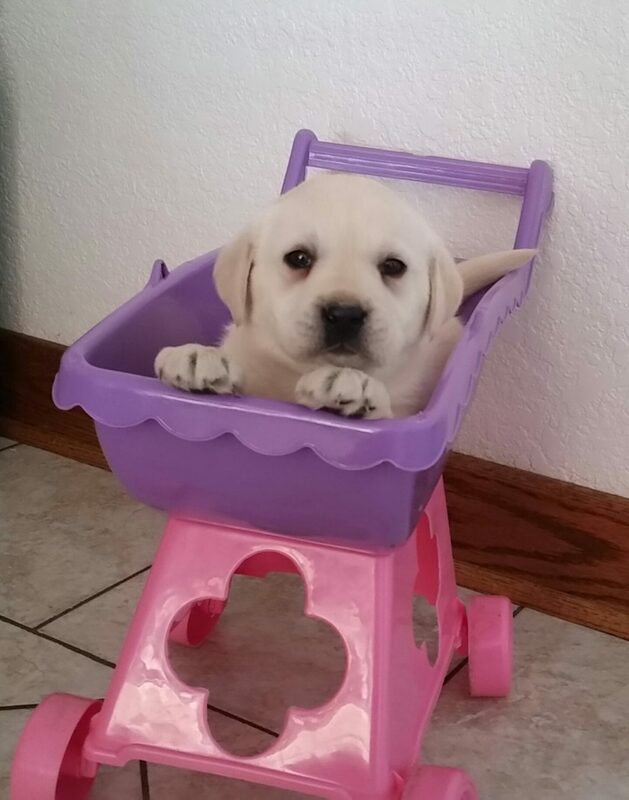 Meet Addi, a smart Labrador Retriever puppy who’s ready to take on the world. Addi sports a dashing personality and carries a beautiful yellow coat. In addition, Addi will arrive vaccinated, microchipped, and ready to please. We’ve poured ourselves into raising this little gem and promise you a puppy coming from parents of friendly and sweet personalities. 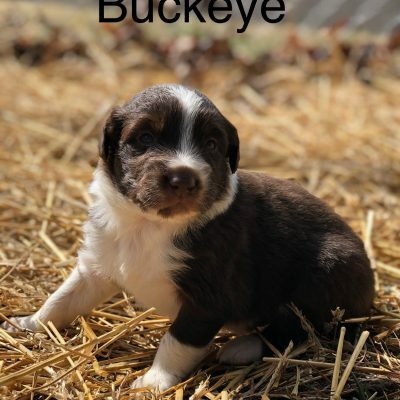 If you’re browsing puppies for sale in Woodburn, be sure to check out this charming little pup. We are experienced in shipping and can arrange details to get your puppy safely home if you’re not already in Woodburn. We take pride and joy in raising high quality dogs. Give us a call today at 2604660494 and we’d love to answer any of your questions. Hi! I’m Marlene, a responsible dog breeder who enjoys spending time with my quality canines. 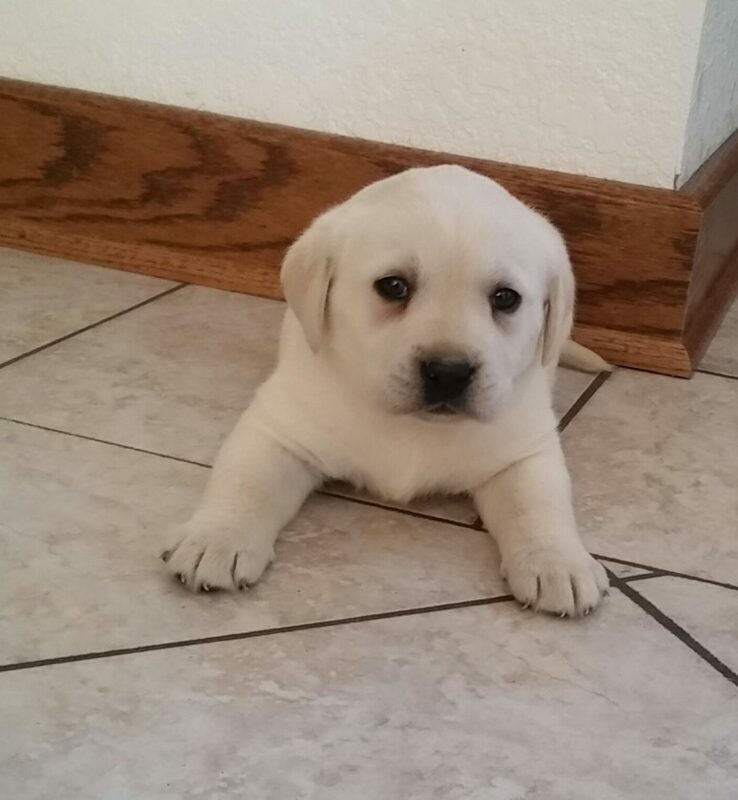 I value honesty and take pride in raising elite Yellow Labrador Retriever puppies for sale in Woodburn . 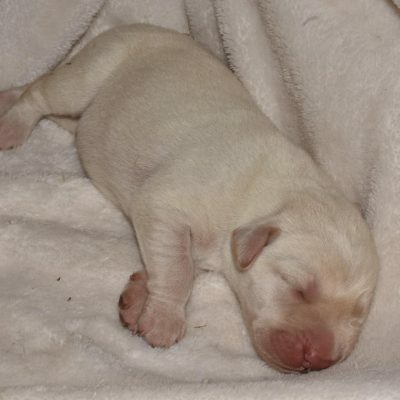 I first began breeding Yellow Labrador Retriever dogs in 2015 because I enjoyed connecting puppies with loving families. Today I am thrilled to present charming little puppies who are child-friendly and family raised. In addition, each puppy I send home is promised to arrive AKC registerable, health-tested, and microchipped. I welcome potential customers to meet each puppy at my home in Woodburn . Should you have any questions, you can call or text me at 2604660494 and I’ll be happy to answer any questions. Delivery options are always up to what the breeder feels is best for the puppy. Breeders are able to edit this default shipping policy on their Shipping tab. Your new puppy is guaranteed against fatal viral diseases up to seven (7) days beyond the date that the puppy is taken home. The puppy MUST be examined by a veterinarian within seven (7) days for this guarantee to be valid. If the veterinarian finds abnormal results in the exam (apart from any imperfection that was made known to new owner at the time of sale), then the breeder must be called immediately and copies of the vet report(s) supplied to the breeder. 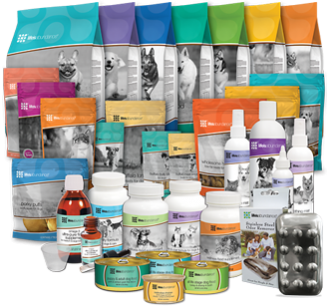 After this is provided, the breeder will offer a reimbursement or solution based on the veterinarian's findings. In case of a puppy's death within the seven (7) day period, an autopsy, by a state veterinary lab, must be arranged and paid for by the new owner, and findings must be submitted to the breeder before any exchange will be made. 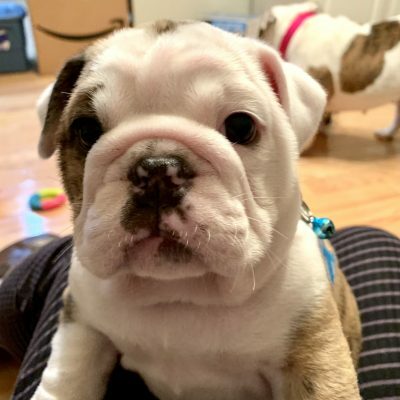 Your new puppy is also guaranteed up to, and no more than, one (1) year from purchase date against major genetic defects, effecting the heart, lungs, liver, kidneys, etc. 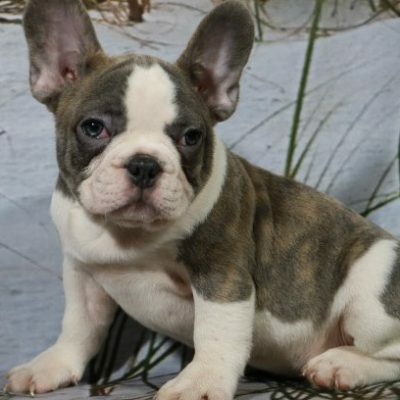 If the examining veterinarian concludes that the puppy has a serious genetic illness, the breeder must be notified and proper documentation provided to the breeder by the veterinarian. 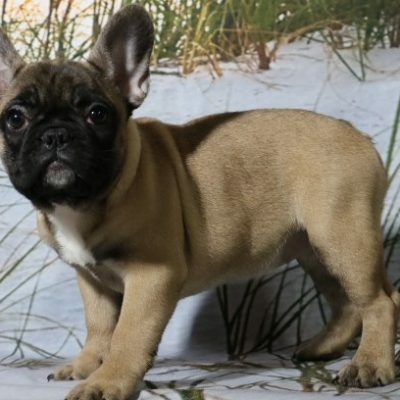 Once this is received and reviewed, the new owner will have the option to bring the puppy back in exchange for another puppy of equal or lesser value, or a reimbursement (whether in part or in full) will be provided at the breeder's discretion. At no time will your credit exceed the purchase price of your puppy. The breeder is not responsible for any veterinarian bills you incur with your new puppy. 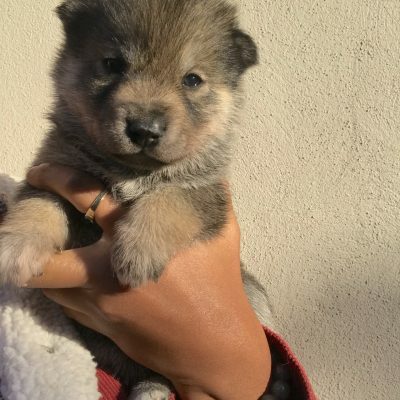 Buyer acknowledges that they are purchasing a pet and that the breeder cannot guarantee size, weight, conformation, temperament, or breeding ability. 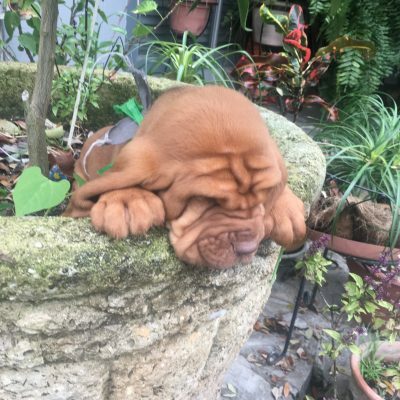 The breeder can assume no responsibility for this puppy after leaving the premises for any medical expense, death, or allergies. This guarantee DOES NOT INCLUDE the following: Hypoglycemia, Colds/Upper Respiratory Infection, Coccidia, Giardia and other minor iIInesses. These conditions are all treatable and do not warrant a reimbursement. If for some reason you cannot take care of your puppy or cannot keep it any longer, please return the puppy to us. 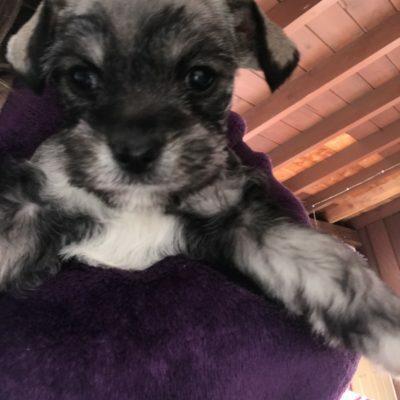 Known abnormality(s) or surgery(s) prior to puppy going home: "I, the new puppy owner, hereby agree to the above purchase agreement and Health Guarantee for my new puppy, and I signify that I have been made aware of any known abnormalities or surgeries regarding my puppy. Furthermore, I will commit to providing the best possible care to my new puppy after it leaves the breeder's premises." 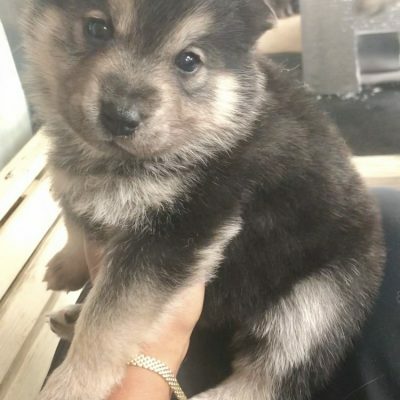 New Puppy Owner's Signature ____________________________________________________________ Date____________________________________ Breeders are able to edit this default Return Policy/Health Guarantee on their Shipping tab. Print Puppy Contract here.